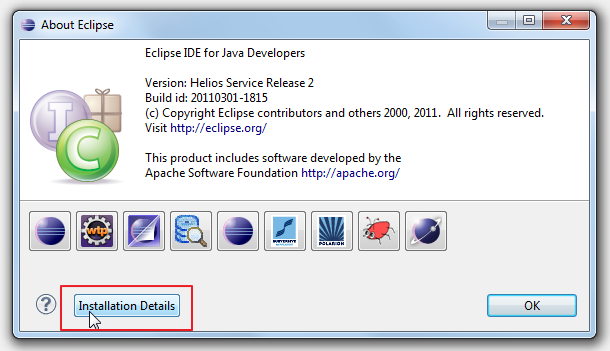 To install Fluorite plug-in to your Eclipse environment, please follow the instructions below. 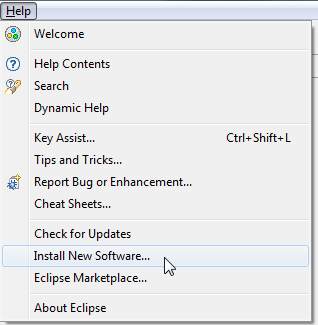 Click the "Help -> Install New Software..." menu item. Fill the boxes as below, and hit "OK" button. Follow the instructions on the dialog. 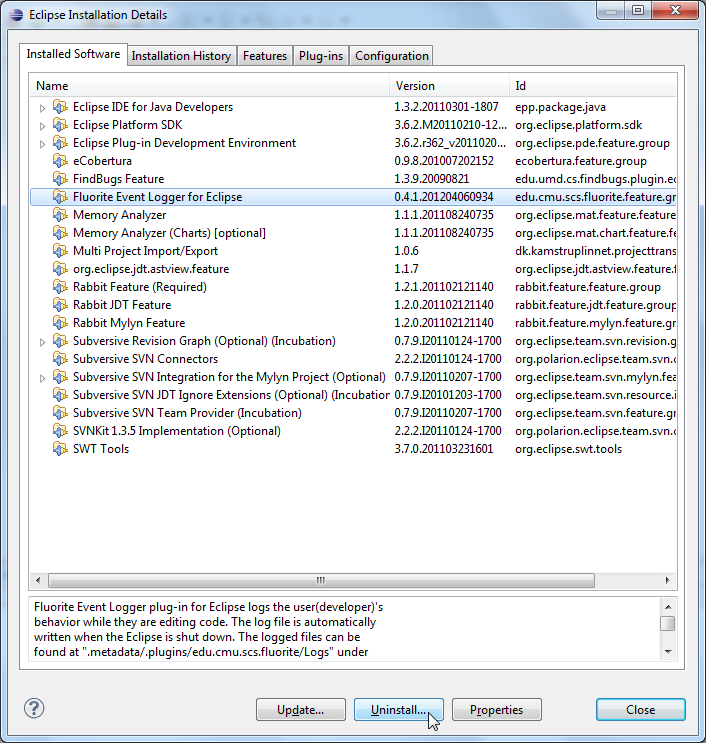 You can check for updates for all of your installed Eclipse plug-ins at once. If Click the "Help -> Check for Updates" menu item as below. 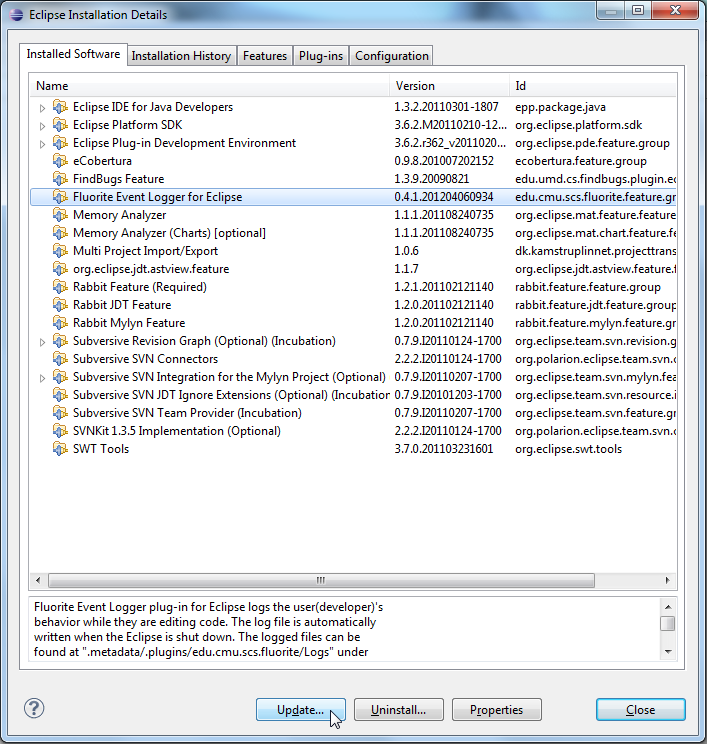 If you do not want to update all of your currently installed Eclipse plug-ins at once, you can selectively update only the Fluorite plug-in to the most recent version. Select the "Help -> About" menu item. Click the "Installation Details" button. 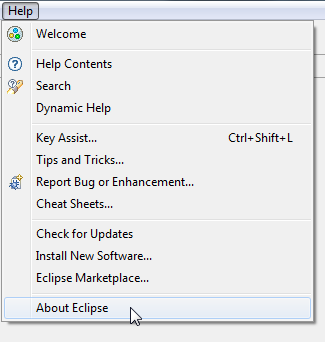 Click the "Fluorite Event Logger for Eclipse" item from the list. Click the "Update" button at the bottom of the dialog. An update dialog will show up. Follow the instructions on the dialog. 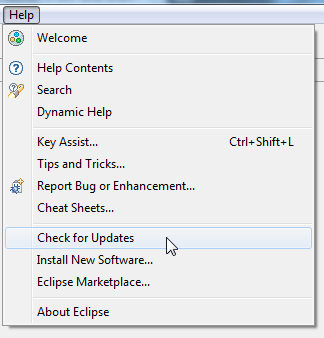 If you want to uninstall Fluorite from Eclipse, please follow the steps below. 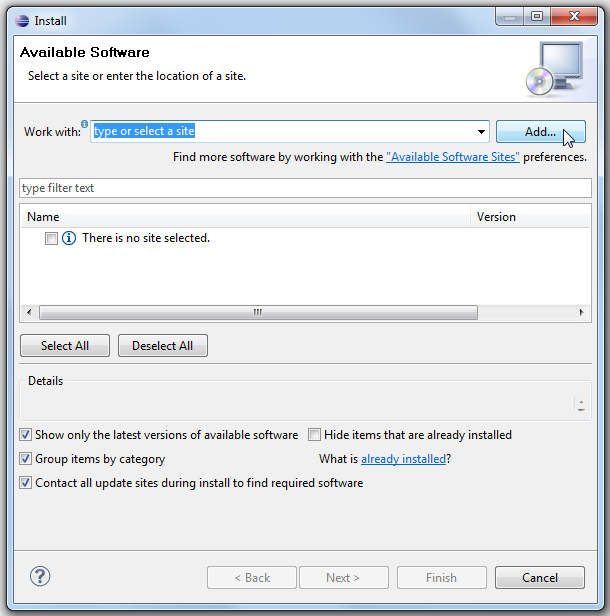 Click the "Uninstall" button at the bottom of the dialog. An uninstall dialog will show up. Follow the instructions on the dialog. To send your log files to the experimenter, please follow the steps below. 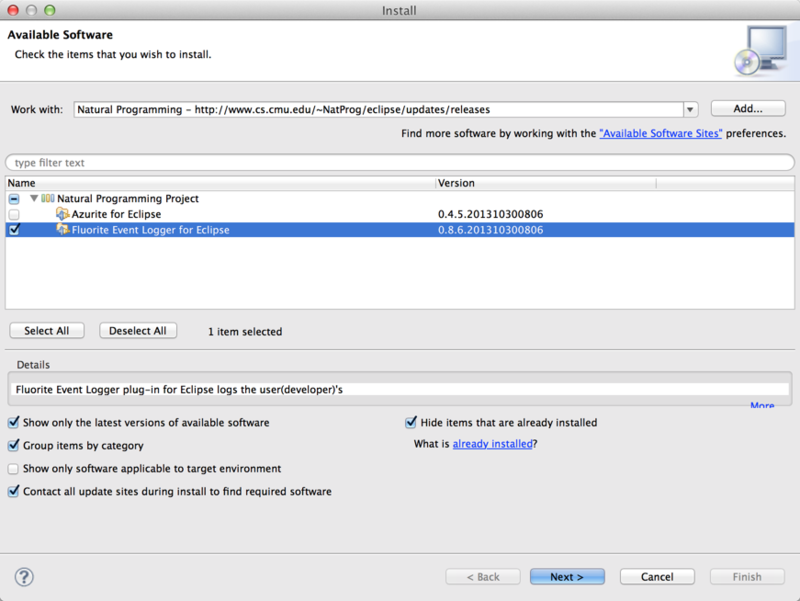 If your Eclipse is currently running, please close it before collecting the log files. Archive all the log files in there as a zip file. If you have multiple Elipcse workspaces, please do the same (steps 2 & 3) for each workspace you used since the logging plug-in was installed. Please send an email to the experimenter with the zip file(s) attached.